It has come to our attention that a few uninformed people out there believe that our Virtual World, BattleTech, VGL, and Red Planet assets are public domain or abandonware. I assure you that non of these things are true. Virtual World Entertainment maintains its licensing and copyrights as appropriate. 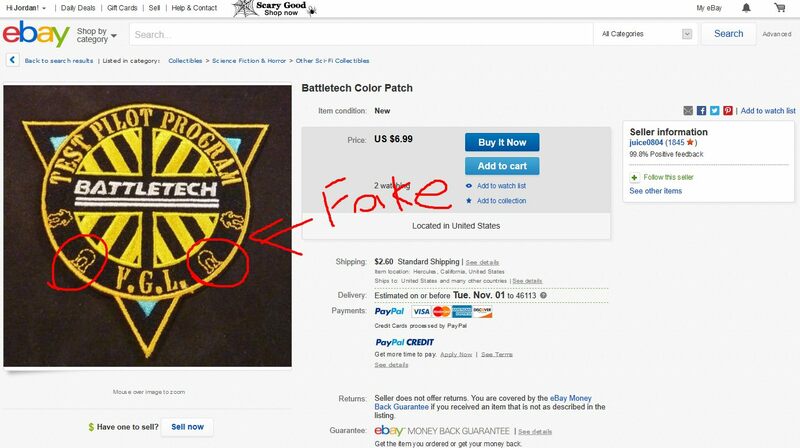 Its a sad day when a pin, patch, or award that took a TON of work and commitment to legitimately earn is reproduced by some unscrupulous seller with access to an embroidery machine or 3D printer. If you come across an Ebay auction for patches we never produced, or find someone selling cockpits with a story that sounds fishy, please let us know!